I am teaching an intensive 1 week Music Technology course at Oakland University, Rochester MI titled Teaching For Musical Understanding with Technology. 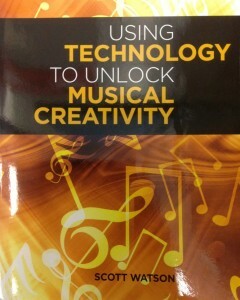 Our first reading was chapter 2 from Scott Watson’s book Using Technology to Unlock Musical Creativity. “In order to be creative, you need to be able to view things in new ways or from different perspectives.” (pg. 15) Being creative or innovative is not always creating a brand new idea, sometimes it is reinventing common things MacGyver was a genius! He could create anything with a rubberband, bobby pin, and a piece of chewing gum. Who would a Musical MacGyver be? How do we design experiences for musicians to create, reinvent, and innovate in our programs? As I read the teachers reflections to this reading, there are recurring themes emerging. These are going to become the springboards from which the rest of the week’s discussions and projects will launch. This begins with laying groundwork for teachers, administrators, and parents to see other ways, different ways, of being a musician. As one instrumental music teacher in the class wrote, “we must be careful not to throw out the baby with the bathwater”, the changes need to be small and deliberate. Beginning with relevant and timely music that will engage the learner/musician to become more autonomous when approaching musicianship. Autonomy in learning emerges when musicians are asked to solve musical problems through a project based approach. The experiences that you design for musicians to be creative, artistic, expressive will have a longer lasting effect than the piece of music they are reading and performing. The musicians that visit your classroom may not remember the specific piece they played, the concept, or rhythmic passage you were rehearsing, but they will remember how you made them feel as a creating musician. My frame for tomorrow’s discussion will be a question I will ask. How do we as music educators create relevant experiences for learner/musicians? This is a cry for help. Technology tools that are absolutely necessary to “real world” music makers are often ignored by contemporary music educators. Where does this leave the musicians in our classrooms? 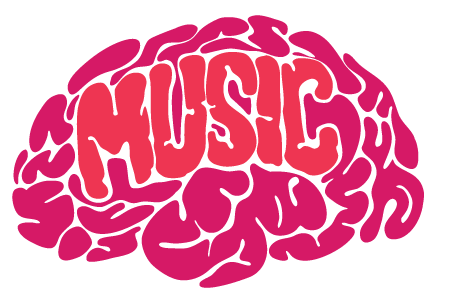 I would like to ask “What if…” What is music education was different? What are your “What ifs”? This past October, I had the pleasure of meeting Christopher Woodside (@MarylanDChris), Assistant Executive Director at National Association for Music Education (NAfME) and music lobbyist, at the PMEA District 7 Music Conference. He opened the conference with a talk about reinventing music advocacy, which inspired a previous blog post on this. 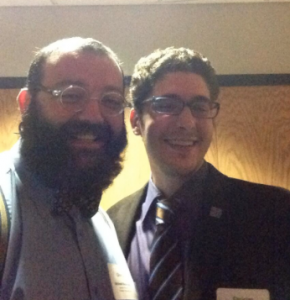 Me and Christopher Woodside at PMEA District 7 Photo by me. Christopher’s National Voice of Music Education talk brought focus to the idea that music educators we are advocating that learners participating in music helps score better on standardized tests. This is what we think that administrators and classroom teachers want to hear and will keep us in our classrooms. This is one way of advocating. NAfME and the Broader Minded movement has another idea. I share the belief that music positivley impacts academic achievement. I think that it goes beyond that. Understanding the world better is a residual of learners engaging in the authentic processes of creating and expressing musically. Music shapes the way our students understand themselves and the world around them. The Broader Minded Movement asks everyone to think beyond the bubbles of standardized tests and educate the whole student. Here is the thing, learning is learning and thinking is thinking. Content areas are a way to curate thinking, much like hashtags. Teaching conceptually and through processes makes the learning holistic. There are unique ways of knowing the world through music that beings out expressive qualities in learners. Performing, composing, arranging, remixing, and genre shifting are a few processes in which learners are asked to collaborate, think critically, communicate, create, revise, and make decisions, all within the constraints of an essential question. If you think there is more to a music educate than scoring higher on a standardized tests, please consider joining the Broader-Minded: Beyond The Bubbles Movement and Share Your Story Here.